Of course you know Robot Garden DOES VIDEO! But did you know we’ve given our YouTube channel a fresh look? We want to make our YouTube channel the top, best, most amazing and coolest in 2018. You can help! Love is in the air, Makers! RC2Robot has picked a platform! 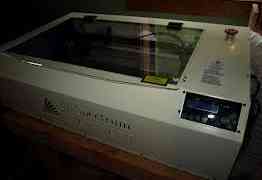 Thanks to the hard work of our volunteers and generous donations, we now have two 3D printers online. Our high precision Afinia ABS FDM printer and a new large Rostock Max PLA FDM printer. Look for new 3D printing SBUs coming soon. The next laser cutter SBU is scheduled for October 13th, sign up now 🙂 For those who have already taken the class or anyone looking to gain a little extra information in advance, the class manual is now online.